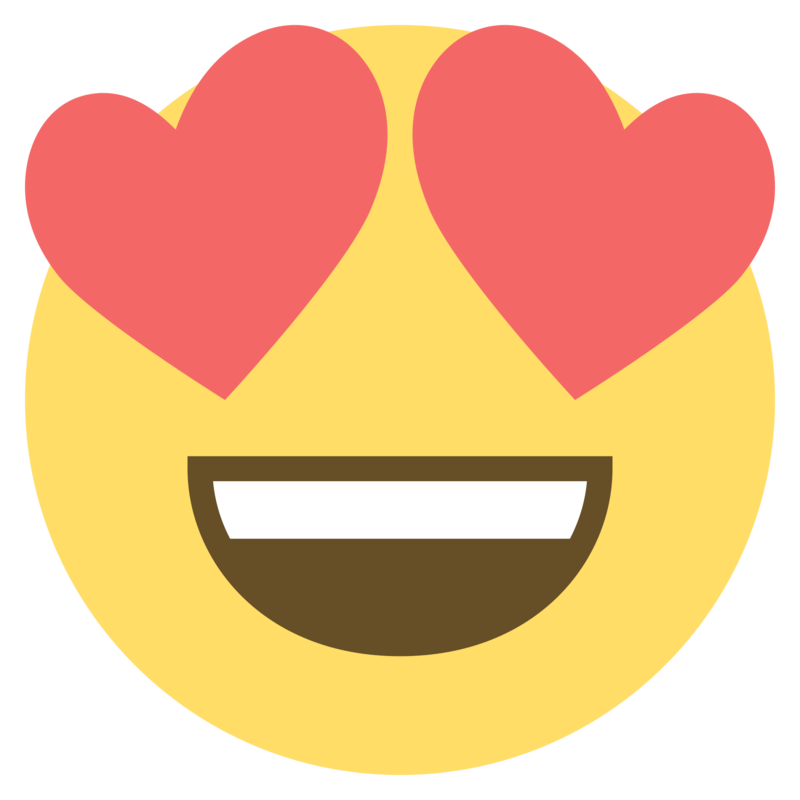 I just got a video of two guys hitting a G400 MAX and the 839D at an outdoor range. I uploaded it to our YouTube as an unlisted video but you can check it out below. Definitely don’t hear anything offensive. Sounds fine to me. Totally nailed the sound... Click, but not horrible... Too bad you don't have a Triton to toss against it... Now that's loud and annoying! Yeah it's slightly higher pitched and I guess that gets amplified when hitting in indoor/confined spaces. I'll try and post more comparison videos if I see them or get a chance to record any myself. So, I’ve been lurking around here for 2+ years. I don’t really comment a lot, but I LOVE to read, and then I stumbled across this thread, and felt compelled to comment. Needless to say, I was in the market for, well, everything. My first purchase was a driver, the new TS3 fit that bill. Then came the irons and wedges. 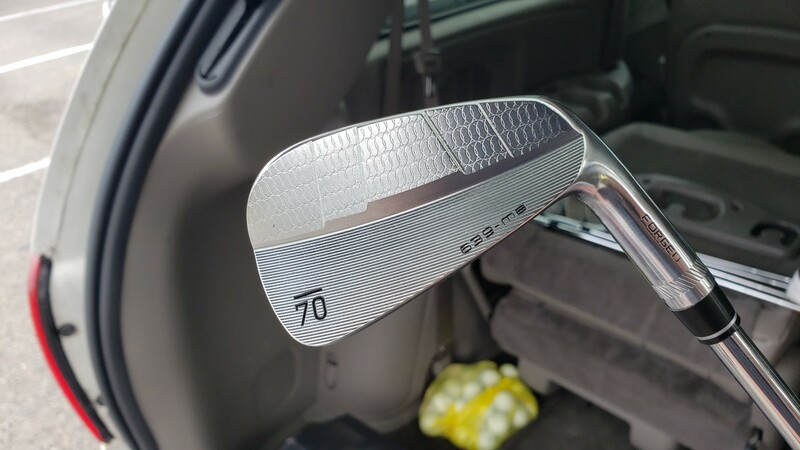 While I was looking for a set of irons on eBay, I stumbled upon Sub70 Golf, and was immediately intrigued. Did some research and found the demo program. So, I ordered the demo set of both the 699 and the 639. When they showed up, I was immediately impressed. Really impressed. You could see that these weren’t your average “off brand” club. They were beautiful. Clean. Simple and dare I say elegant. They looked the part. First chance to hit them was at my TopGolf league, and every one of the guys on my team put them through their paces, myself included. We’re all single digit handicap players, and one of us is a plus. We can play, and we know what a good iron will allow us to do. And, all of us to a man, we’re VERY impressed after that league session. 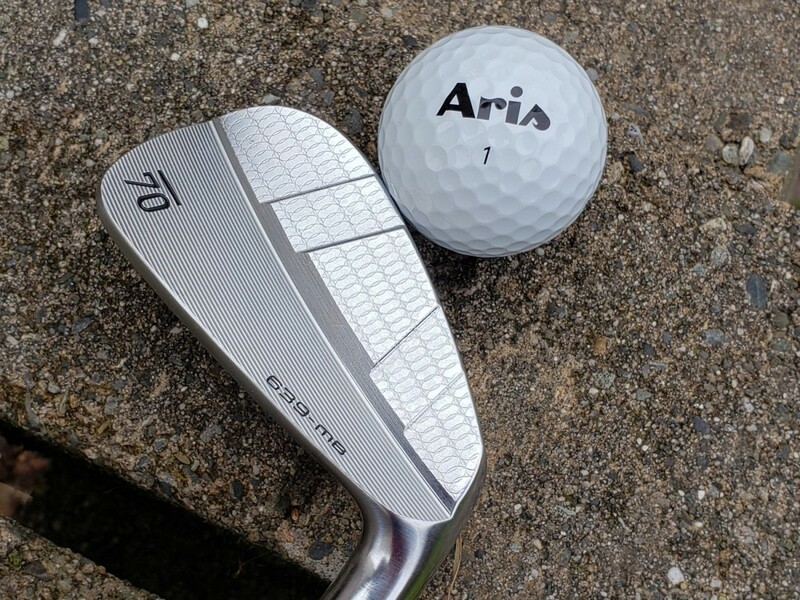 The performance of these irons left me speechless, because they feel and perform like a set of sticks that should be about $2k. They were so good in fact, I made up my mind within about 3 days of testing that the 639CB against everything, that they would be my next set. So, I ordered my set. 4-PW, 48, 52, 56, 60 shafted with Modus Tour 120s shafts all to my specs. They showed up, and looked great. At least the ones that UPS didn’t absolutely wreck with their questionable handling techniques. More on this later. Anyway, coming from Miura CB57’s with Paderson shafts, my expectations were extremely high. I’ve since had a chance to get in 3 range sessions and one round. 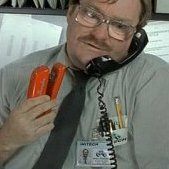 And I will tell you right now, you WILL NOT find a better set of sticks at this price point, and dare I say 2 or 3 times this price point. 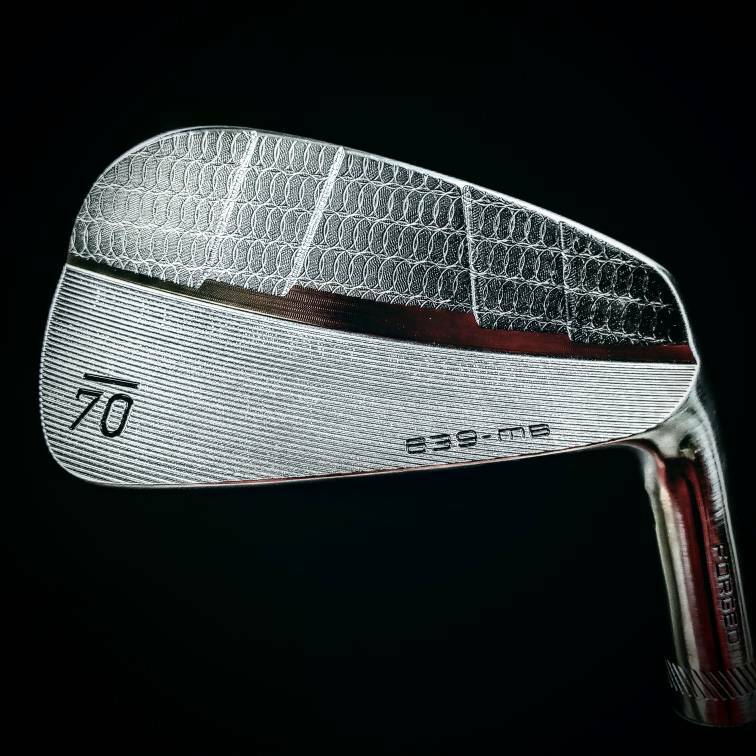 They are absolutely unreal irons, and again, feel, play and look like a $2k+ set. When I tested these, I put them against everything on the market basically, well, at least stuff I was interested in gaming. They went head to head with Titleist, Mizuno, Callaway, Honma, Srixon, Bridgestone, you name it. And they held their own and then some, besting every iron I tested against them. The ONLY iron I tested them against that they weren’t as pure or true as, was a Miura. But, I just didn’t want to spend another $3k on a set of sticks, insurance $$ or not. Today was my first round, and they played great. The turf interaction was brilliant, the performance was fantastic, and they are accurate as maybe anything I’ve ever played. Going back to feel, the best feeling irons I’ve ever hit are: CB57, MP14 then MP32. And surprisingly to me, these fit right into that MP14-32 range. They feel soft, and are rewarding on well struck shots, and even those you don’t really “get”, you’re NOT going to be punished like you would with a Miura or Mizuno blade. The forgiveness is that of a GI club, but performance on a players iron. The profile looks great at address, and they look easy to hit. Which is a real advantage for folks. 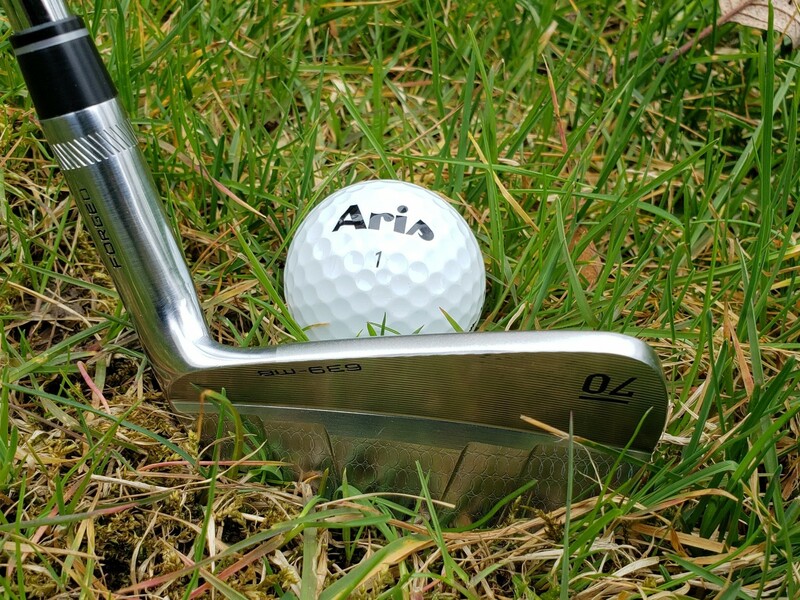 Typically I take several sessions and rounds to get familiar with a new set of irons. These though, just fit. Like a glove. My comfort level is like that of an iron I’ve gamed for a season or two. I cannot state enough how good these actually are. I don’t know who’s forging them, or what exactly D4T steel is, but, they’re absolutely a top notch iron. The wedges, for me, are a little different than what I’m used to from a profile standpoint. However, they seem to fly nicely and have plenty of spin (maybe too much, actually) and accuracy. I need more time to get used to them before I can give you a real read on what they actually are and how they perform. Early returns seem positive though! Now, when these irons were shipped, UPS damaged 6 irons badly enough that I requested a return, and Jason obliged and was happy to make it happen. We ended up making a deal that works well for both of us. But, the fact he was willing to step up, really makes me respect and appreciate him and Sub70 as a whole. Not a lot of companies are going to give you 60 days no questions asked, because no one stands behind their stuff like that, at least not in the golf world. They do that, and that’s a testament to who and what they are. For me, I can’t see these things coming out of the bag anytime soon. It’s going to take something really special to get these out, and even then, I’m not sure it’s it’ll happen. When the blades come out, I will buy a set of those as well. And, if they’re anything like the 639 CB, I’ll be in heaven! If you’re looking, and you want some serious sticks, without breaking the bank, you owe it to yourself. These are fantastic and second to absolutely none! Please let us know how the fitting works out for you! I love the shape of this driver based on pictures! 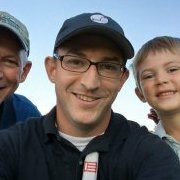 I got a 4 wood from Sub70 over the weekend. Initially results are very good. I know it will be in the bag for a long time. Nice ball flight and feels great! My club just got a trackman so I will get some data in the next few weeks. I have played various forms of Wilson blades for 30 years now. My beloved 1989 Fluid Feel irons are still in a bag ready to go on a moments notice, but most recently I was bagging the FG-100's. Unfortunately, two of them were going to need replacing to make the set last another season, so I started looking at options. As I watched for what was next, the Wilson Proto images began to roll out, I had my next set of irons in my sights. Unfortunately, I was told the irons would be about $1200-1300 at retail and quickly began to reassess my needs. I continued shopping until October when I hit the JPX 900 Forged irons while trying on shoes at my local store. Now, instead of waiting for the next Wilson blade to hit, I made a drastic change to "fix" a fault and go with the Mizuno JPX 900 Forged irons and just haven't been happy with them. My search continued for my next "perfect irons". As the new year started and the Mizuno's only continued to feel OK, I really started looking hard at other options. Even though I don't have an unlimited golf budget, I did want something extremely playable and blade like, but didn't want to go used as some of the player's irons get beat pretty well before they go on the sale block. 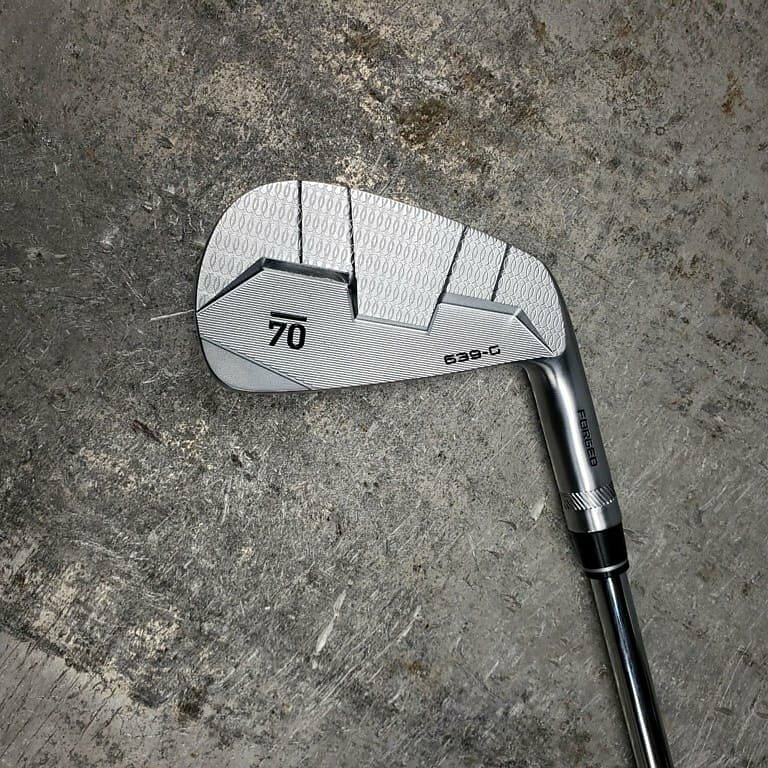 I started researching some of the smaller brands and found some great reviews on the Sub70 699 irons. Even low handicap players were crooning over the distance gains and the feel of these hollowed body beasts. I messaged Sub70 on social media and asked about them. Jason messaged me back almost instantly. He gave me a quick rundown of their irons and how the 639CB would be a better match for what I needed. Then, he mentioned the MB model and how it could be even better for me. After a bit of chatting back and forth, he had me give him my phone number and he called me - on a Saturday afternoon! What service! THIS went well beyond what I expected in the way of customer service and it only got better from there. Jason said to send over my specs and he would make up a demo club for me to hit and get it out to me. The next day I went down and double checked specs and sent them off. Within an hour, another email back confirming the specs and adjustments and everything was rolling. My shipping notification from UPS was sent out a few days later and after an AGONIZING few days, the black "Sub 70 Golf" box arrived at the shop and I began to drool. Finally the time to clock out arrived and I cracked open the box. 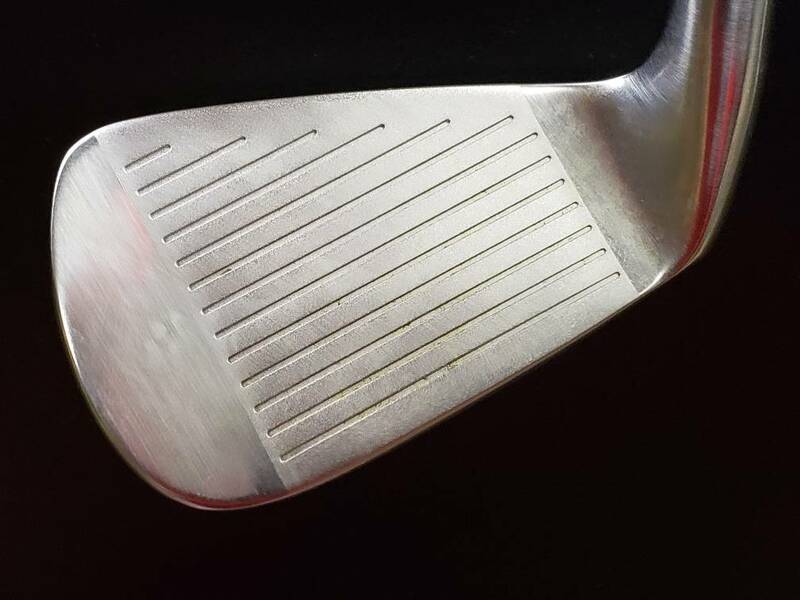 The iron was in a "prototype finish" so not the final one, but I can honestly say, I hadn't seen an iron this beautiful since I first set eyes on those 1989 Fluid Feels at the driving range when I was 14 years old. 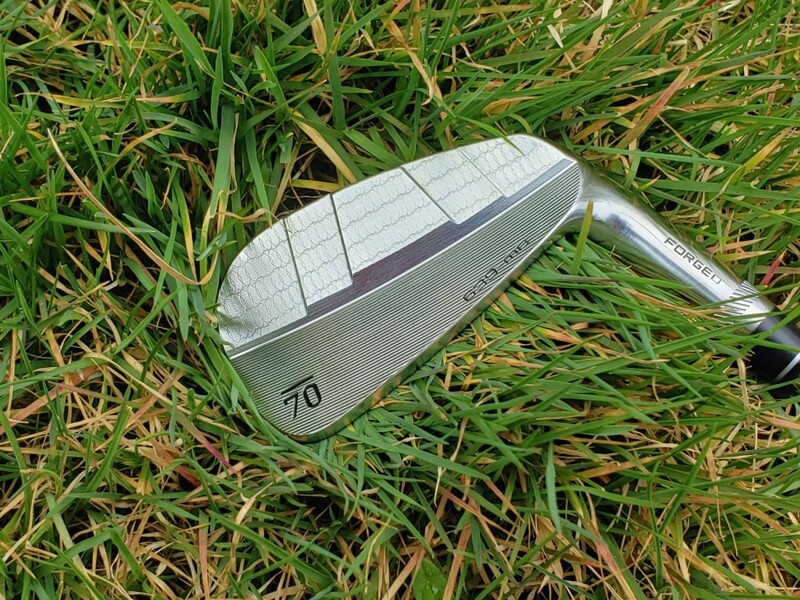 Of course, falling for the looks of a club is one thing, but could it possibly match up to the playability of my beloved Wilson blades or would it feel squishy like most of the new "forged" offerings do? The range would have to wait until tomorrow. I rolled up to the course for a tournament that Saturday morning and "unofficially" unboxed the 639MB. I was still blown away by the looks, and the weighting of the head vs. the KBS Tour 130 shaft. It just felt perfectly balanced. I went with the stock Golf Pride 360 Tour Velvet grip just to keep things simple. 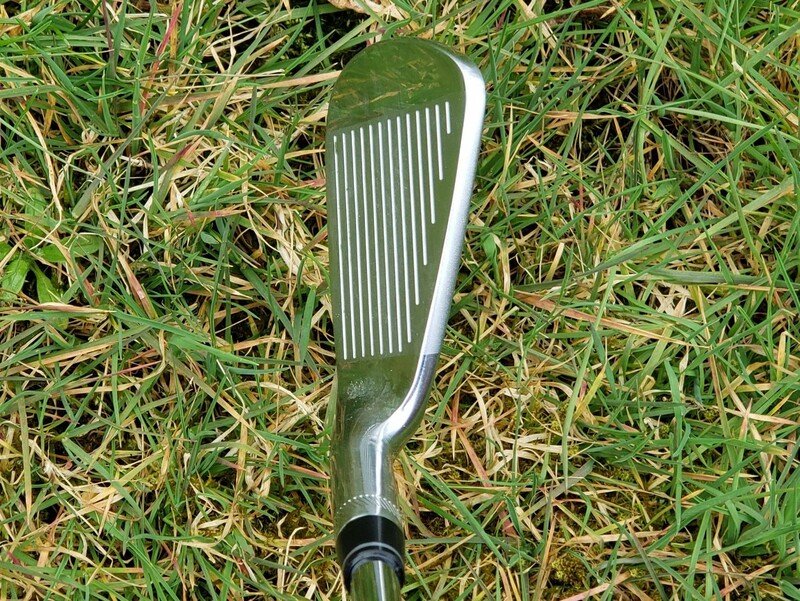 The clean lines of the grip flowing to the shaft, then continuing down to the perfectly turned ferrule was a sight to see on it's own. Then the satin-esque finish of the head made the entire package scream PERFECTION. I carefully placed that 7 iron in the bag and headed over to the practice tee. I had thought my skills as a ball striker had diminished a bit over the years, but from the first ball with the 639MB, I realized that I still had it. Center strike after center strike produced a 165 yard draw dead on target. I then tried a cut fade, 160 and stopped on a dime- WITH RANGE BALLS! I think I'm in love with this iron already. Then I started flighting it - high, low, middle... All with easy success. I swapped out to the Mizuno just to make sure it wasn't my swing for the day - and trust me, the way I played, it wasn't. 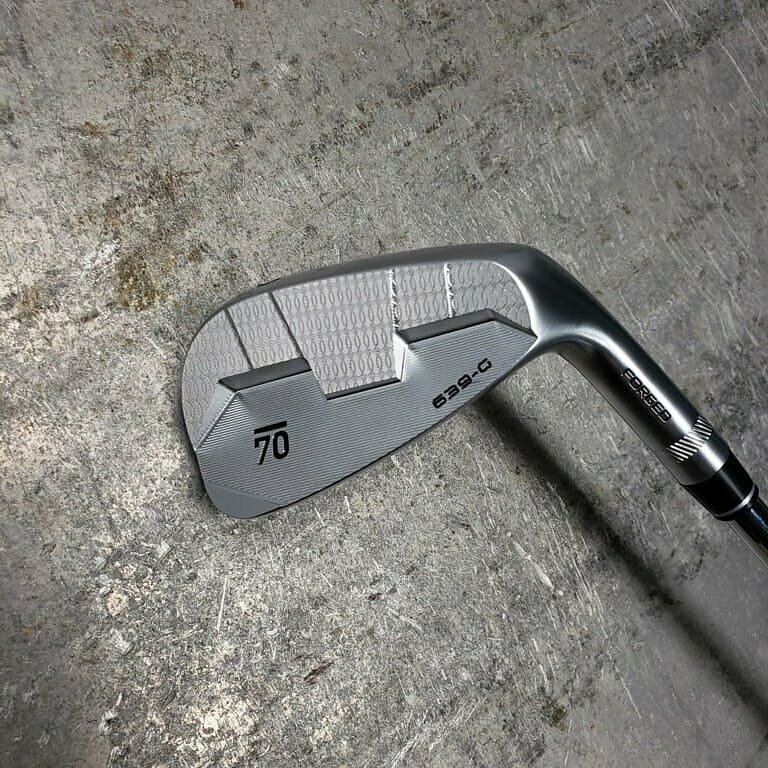 The Mizuno was good, but not like the Sub70 iron. I then did something that I normally don't try to do with them - hit a few heel and toe shots. 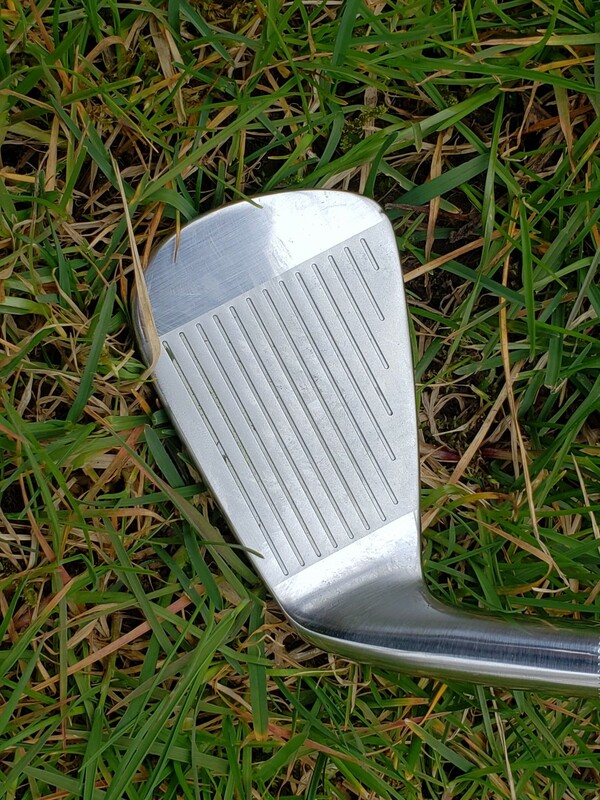 Now, when I struck the ball outside the groove area on the toe, I lost a bit of distance, but the club virtually corrected the line of the shot - almost like an old wood did with the old "gear effect". It was incredible to watch and even more fun to experience first hand. Moving to the heel, I didn't get killed with the dead pull left that my older blades gave me. It was a nice straight flight, again with a slight distance loss. Overall, the performance of these is on par with the Muira's, Kyoei and other top blades I've tried over the years - and from what I see online, these are going to cost about 1/3 the price of a custom set of those guys. Ok, I'm going to be honest here and say that this 32° 7 iron should have been shorter than my 31° Mizuno, but it wasn't. Actually, as I looked at the yardages on center hits, the Project X LZ fitted Mizuno flew a bit higher, but was actually 3 yards shorter than the KBS Tour equipped 639MB. After looking up my stock distances again on my 1989 irons, degree vs. degree, my 167 yard 7 iron was at my peak swing, so tattooing shot after shot at 165 on the range is about as good as it gets. I wasn't able to get dispersion numbers yet, but I'm willing to bet I was 5 yards at most at 165 yards - which I will take all day long. Again, being able to flight an iron is probably the most important thing to me - far more important than distance or lofts, and the 639MB was so effortless in this way. I had completely lost that with the Mizuno's as they float the ball into the air and bring it down beautifully on every shot. Hitting the 639's, I remembered how it felt to be in complete control of the ball and it felt amazing. The good news is I'm 100% sold on these irons and the service that Sub 70 gave me... The bad news - I can't get a set of these until summer. Now, for some that play major tournament golf, Sub70 is getting through the approval process for the USGA ASAP. They thought they had submitting the right stuff to start with, but then the USGA needed some additional clubs (like a full set - etc...) to fully approve the irons. Approval will be coming soon so don't stress about that at all. If you have any questions on the 639MB, I'd be happy to answer them and I know Jason and/or Jay from Sub70 are lurking around here with more information than I probably have at this point, but I'll do my best. Also, keep in mind that these are completely custom built for you, in the US and they have been amazing getting me information on them. I can't wait to get my order in as soon as they are available. More to come - summer 2019. PS: Please keep in mind, this is NOT the final finish. They are still tweaking that, but as soon as I get my set, I'll be sure to update everyone with pictures of the final finish of them. Very nice write up! I know when I hit the MB in Sycamore they felt great. I can't wait to get them to finish out my combo set! I am absolutely DYING to try a set of the MB's. I bought the 639 CB's and really love them, but, I am more of a blade player than anything. I, for some reason, cannot see your pics, @Waazzupppp but, I would love to! @BuddaBlades - Just posted the photos as attachments since some couldn't see them. Let me know if you have any questions! Sweet mother Mary and Joseph! Those look AMAZING!!! I'm literally drooling. Wow! Also, remember, this isn't the final finish on them, but Jason said it was getting even better! I've been talking with Jason about these. Unfortunately, I'm a S, and 1.5 flat. So, I'd have to field adjust that one. I can swing an X too. I can ask what he thinks as well? Definitely talk to Jason about it and we'll get you setup somehow. 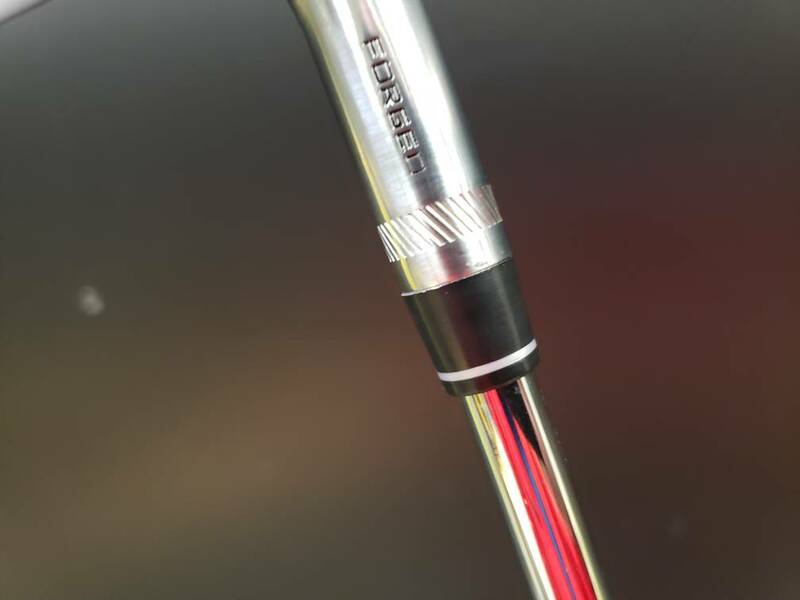 Worst case scenario, that one gets sent back and we swap out the shaft + make a lie adjustment and then send it out. We'll figure it out and make sure anyone that's interested gets a chance to check them out! I spent about 60 balls on this 7 iron and it is BUTTER! I don't want to play anything else. I'm tempted to toss my ancient FG49's back in the bag until I can get a full set of the 639MB's. Sound - The click on this head is just about perfect. It's not the muted "thunk" that a cavity back makes and it's not the "thwack" that my other blades make. It's a perfect blend of the two. I will say that forcing shots off the toe produces a lovely higher pitched click that lets you know you missed the center, but that's a good thing. Feel - I can't say in words how amazing this thing feels. It's not spongy like the JPX900F's and it's not harsh like so many of my other blades. I guess I would describe it as a muted harshness maybe? When you center strike them, the ball just goes effortlessly off the club to the target. The mishits tend to deliver a bit more feedback, but that's to be expected in a muscle back design. I like the fact that I can feel the misses, without having to feel the misses. Distance - This was a concern of mine after the first range session with them. I was down about 1/2 a club over my previous blades and a full club off the Mizuno's. Good news... I found my distance with it. With the higher flying Mizzy's, I had moved the ball slightly forward in my stance to cut the backspin (and thus the height) of the shot a bit. I wanted to flight the ball a bit lower with them so that was the change I made to my setup. After moving the ball back into the proper position for the 639's, the distance almost instantaneously appeared again. My dialed in distance (though I still haven't had a Trackman session to verify this) is 168 carry, 175 roll with the standard range ball. If the calculations work out correctly with every other club I've had, this should be a 175 carry on the course with a real ball. Done! Durability - I haven't had the pleasure of hitting a rock with this thing yet, but so far, the grooves, face and the rest of the club head are doing fantastic. I know Sub 70 has a huge product line up and I don't want to hijack this thread with just this bad boy, but man, I love it! Here are some of my numbers with the Sub70 4 wood from the other day. We didn’t hit many as it was windy but I really like the way this club flys. I’ll take 268 all day long.